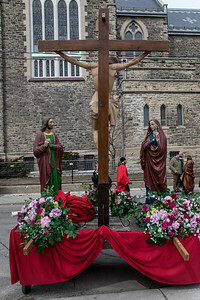 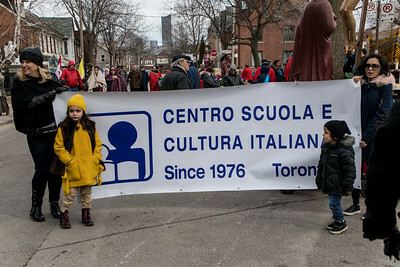 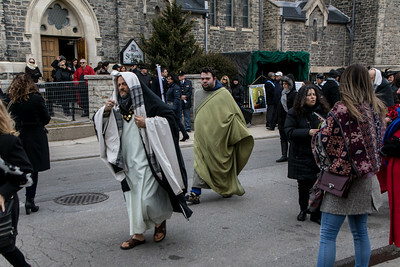 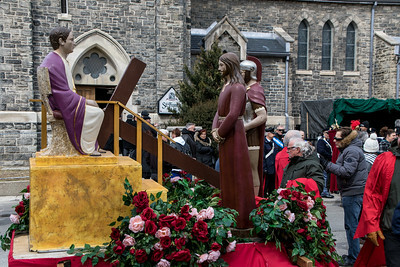 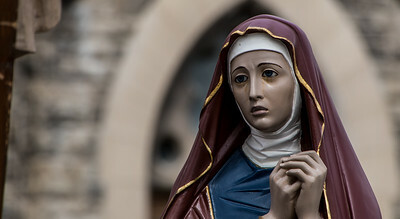 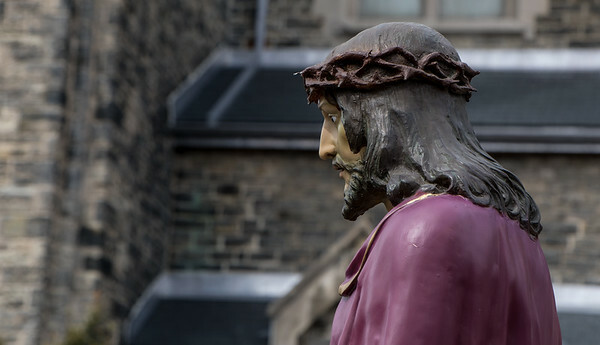 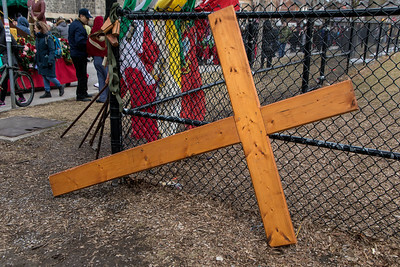 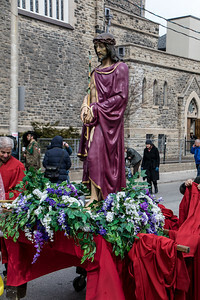 For the 56th year, thousands turned out for the Good Friday procession as it wound its way through the streets of Toronto's Little Italy. 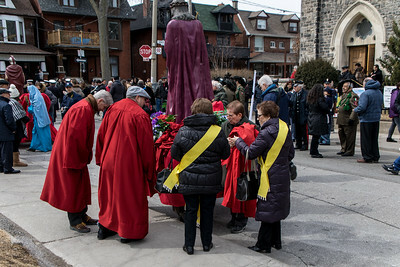 The somber event is organized and performed primarily by the parish of St. Francis of Assisi Church at the corner of Mansfield Avenue and Grace Street. 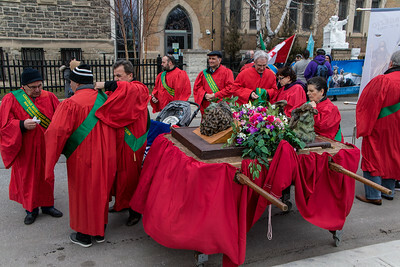 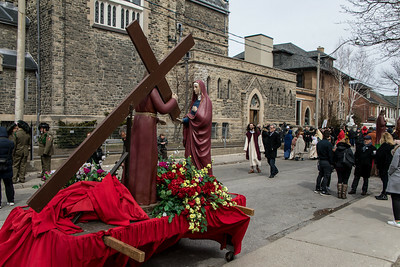 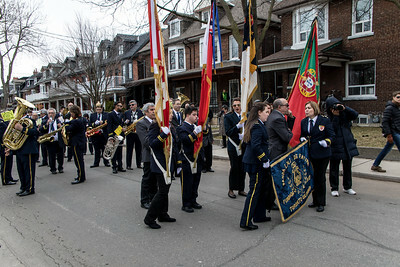 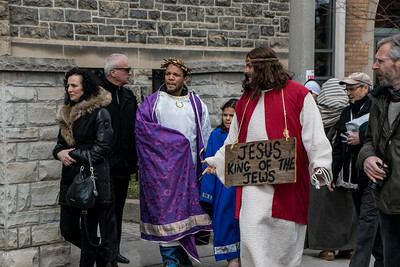 The procession is a mile-long march re-enacting the fourteen Stations of the Cross (Jesus on his way to his crucifixion). 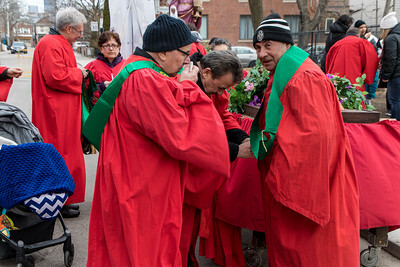 Some of the more interesting shots are of the participants getting ready for the procession at the St. Francis of Assisi Church.